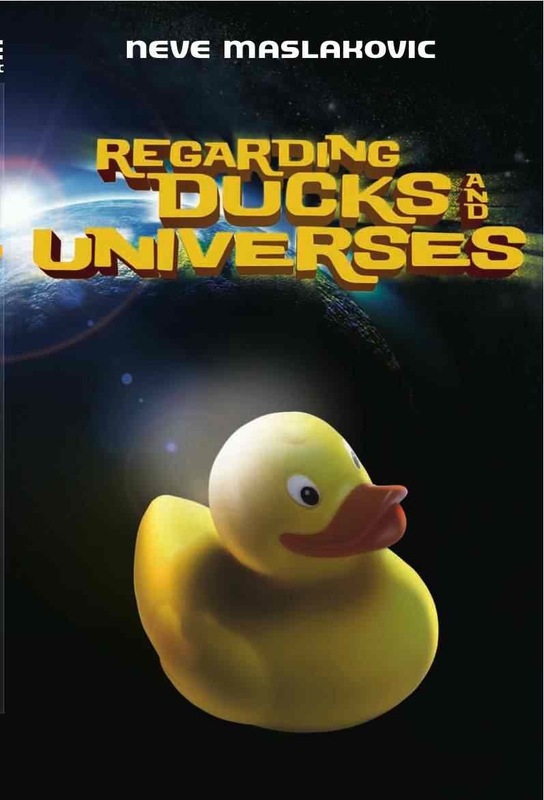 The first giveaway of copies of Regarding Ducks and Universes has officially wound down -- we had over a thousand people enter (1144 to be exact), a number that is not unusual for Goodreads, but which still staggered me! I've never done a giveaway before and it's nice when people think your book sounds like something they might want to read. So I'll have the pleasure of mailing four copies to various corners of the United States and one to the north of Great Britain. A reminder that these are the ARCs (the Advance Reader Copies) going out. There won't be any major changes in text between the ARC and the finished product. Minor changes, yes. Between the publisher's proofreading and mine, we've found a handful of typos (titled instead of tilted, wondered instead of wandered), one small goof with a date, an ampersand that mysteriously changes shape throughout the book*, and a runaway case of italics. I'm also sneaking in a minor tweak here and there 'cause that's what I like to do, edit, and this is my very last chance to do so after five years of work on RD&U. So, winners, be on the lookout for the books (after I figure out how best to package them). Everyone else, be on the lookout for the next giveaway -- signed copies of RD&U -- which I'll do as the book launch date nears. My thanks to everyone who entered and to Goodreads! Update: *The mysterious changing of the ampersand shape didn't turn out to be mysterious at all, but merely the result of a font change from normal type to italics, i.e., not an error at all. My bad.